The Beast issued in the era of the wide rimmed driver. 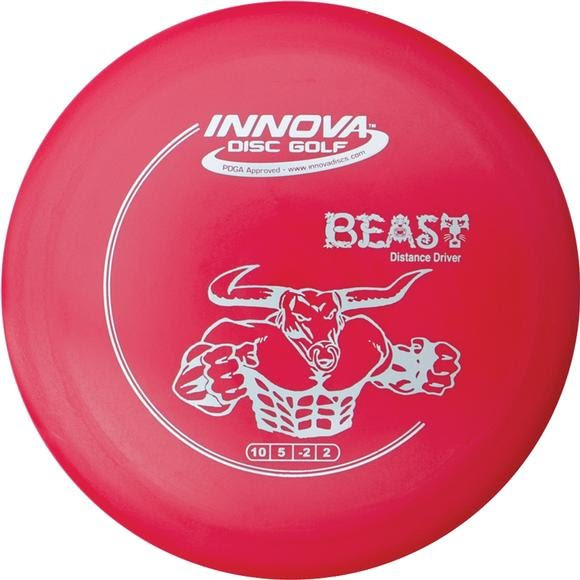 The Beast was an instant classic when it was released; giving players more distance using less power. The Beast's high glide, high speed and high speed turn all combine to give big distance. It is suitable for beginners and pros alike. A favorite of two-time World Champion Barry Shultz. The Beast issued in the era of the wide rimmed driver. The Beast was an instant classic when it was released; giving players more distance using less power. The Beast&apos;s high glide, high speed and high speed turn all combine to give big distance. It is suitable for beginners and pros alike. A favorite of two-time World Champion Barry Shultz. Best Choice for: Maximum Distance, turnover driver, tailwind drives, beginner players looking for more distance from a driver. Distance Drivers were created to provide players with the maximum distance possible. Some Distance Driver models provide a straight line of flight, while others have the ability to travel to the left or right down the fairway. Some of our distance drivers are designed to cut through the wind, while other discs offer extra glide which provides additional distance for less powerful throwers. All of our Distance Drivers are created to bring maximum range and control in each unique situation. INNOVA&apos;s DX Line is produced with our Deluxe plastic. The DX Line offers the widest selection of models and weights. These discs are affordably priced and provide an excellent grip in a variety of weather situations. DX discs wear in with usage and over time will eventually take on new and varied flight characteristics. Many top pros carry several DX discs of their favorite models to provide different flight patterns for different situations.